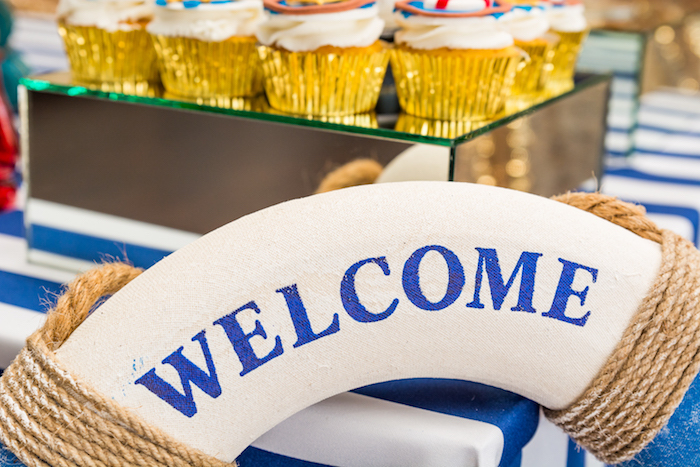 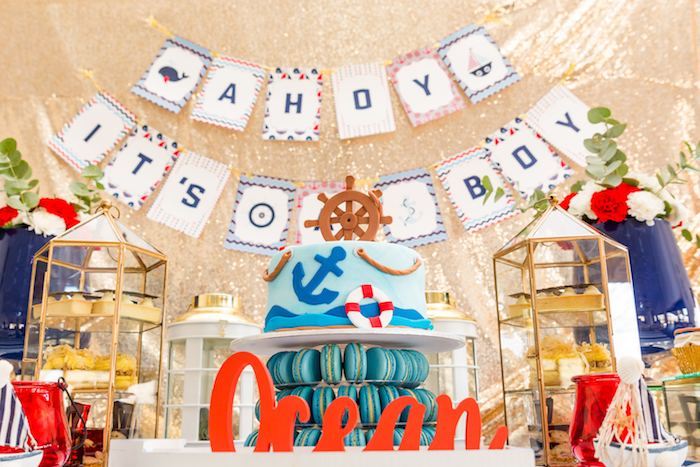 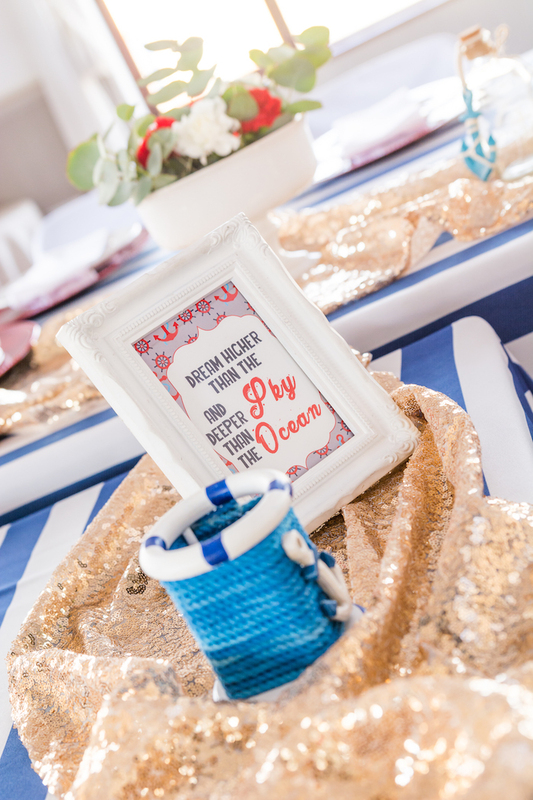 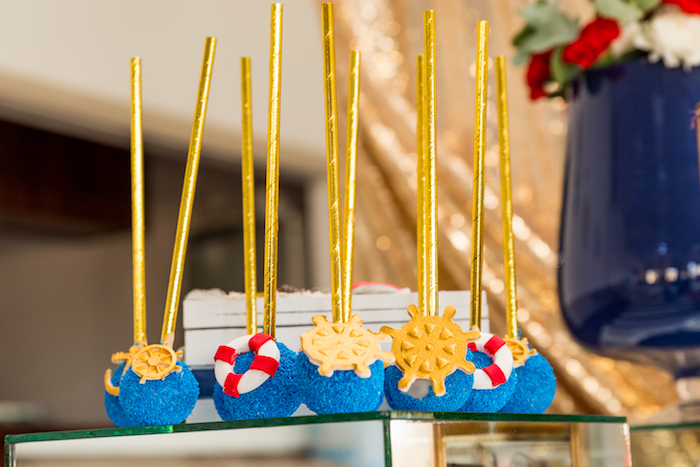 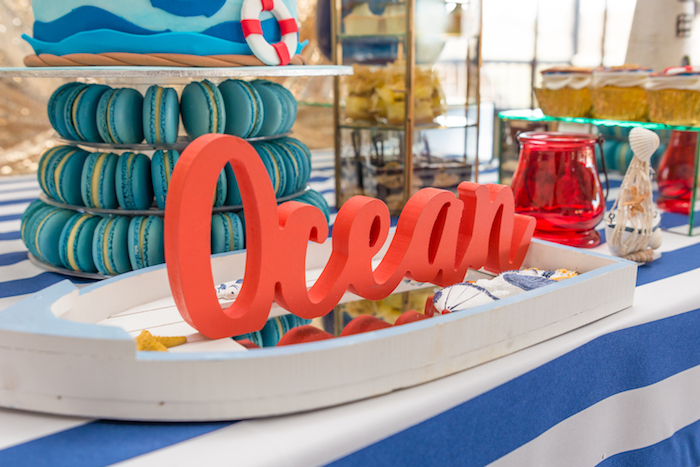 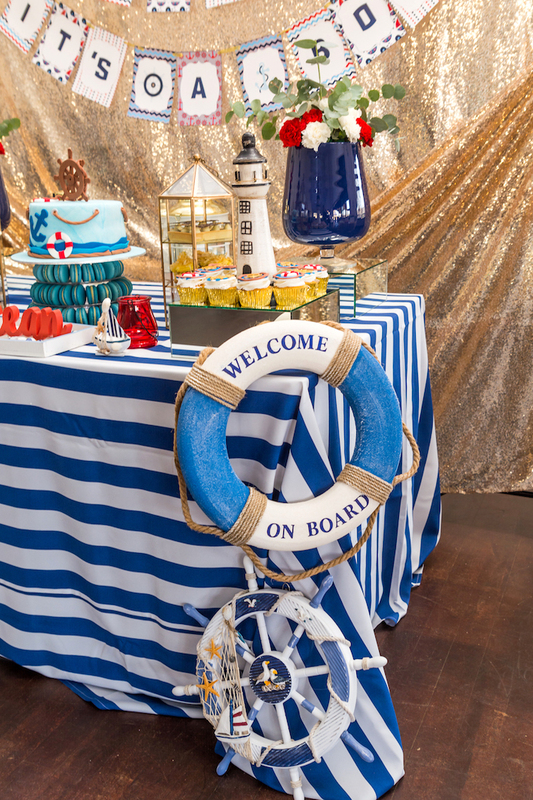 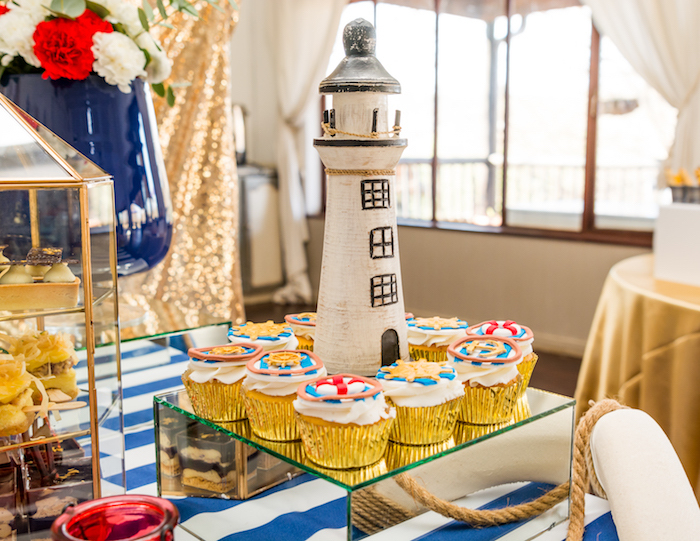 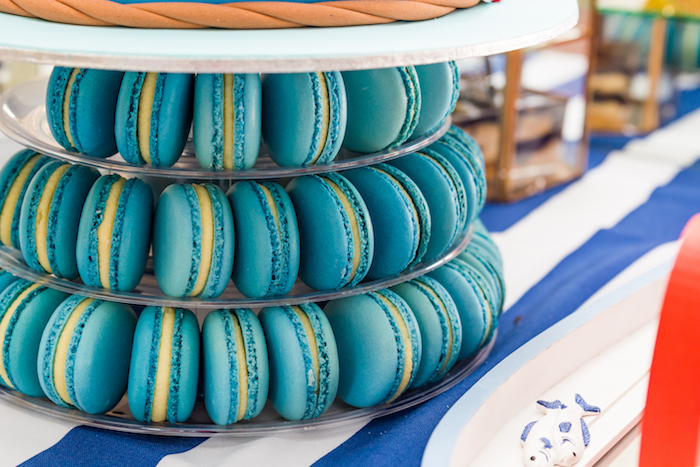 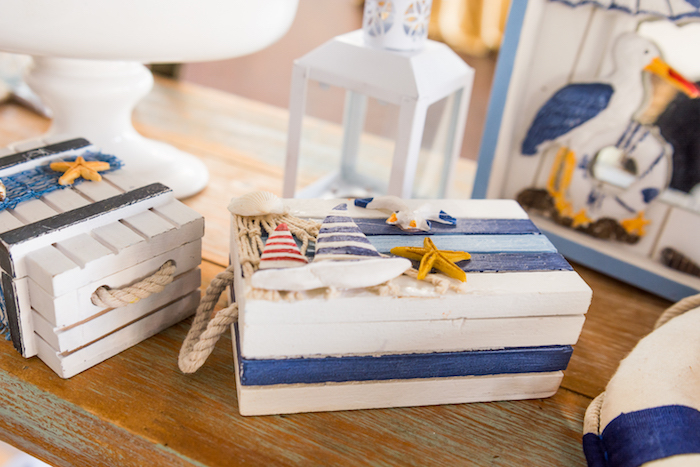 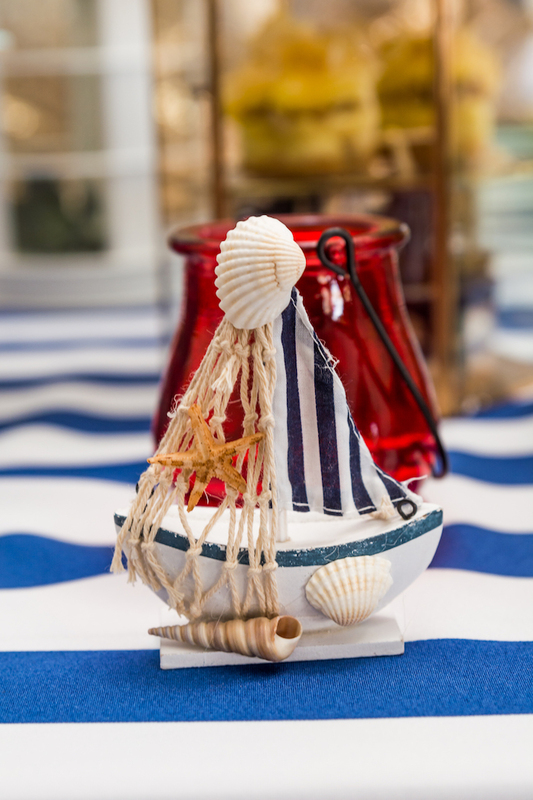 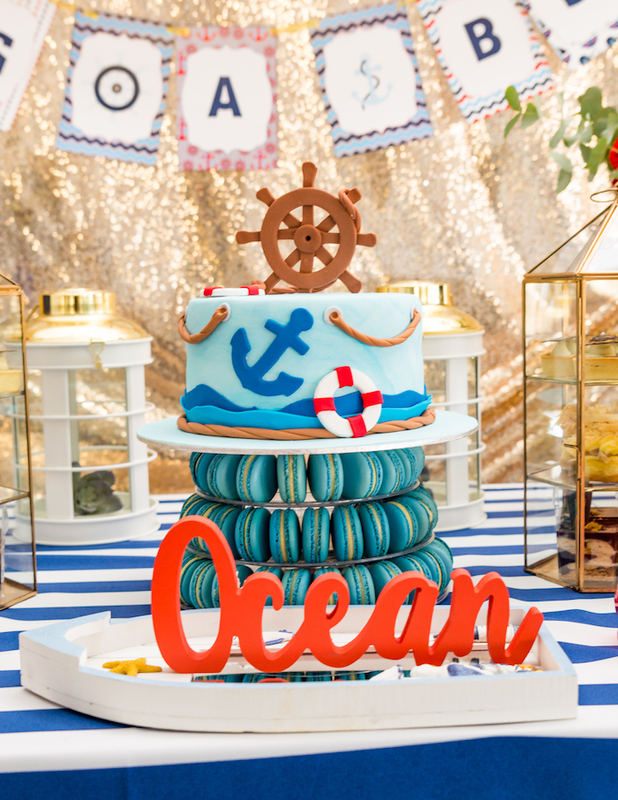 Set your sails and catch the wind this Nautical Glam Baby Shower is sailing in! 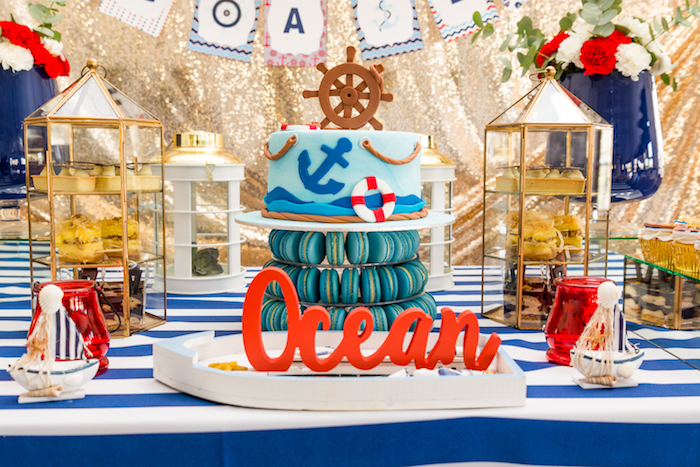 Styled by Ishrat Joosub of Outlandish Events, out of Chartwell, Fourways, South Africa; this sea-worthy occasion is full of waves and wonder about to spout! 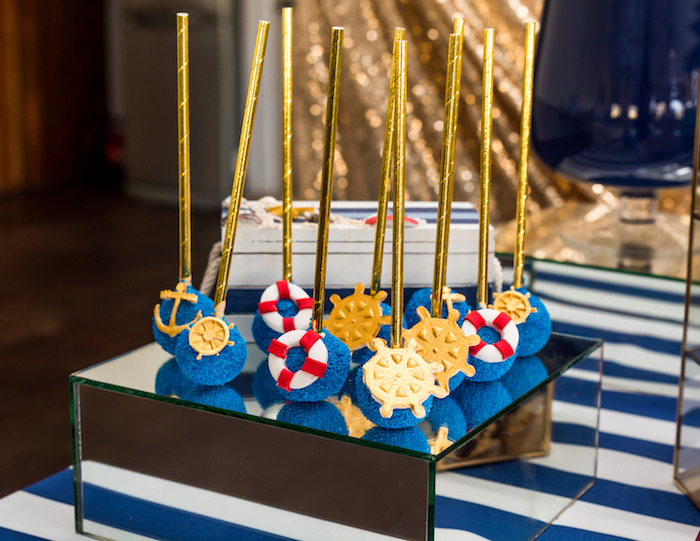 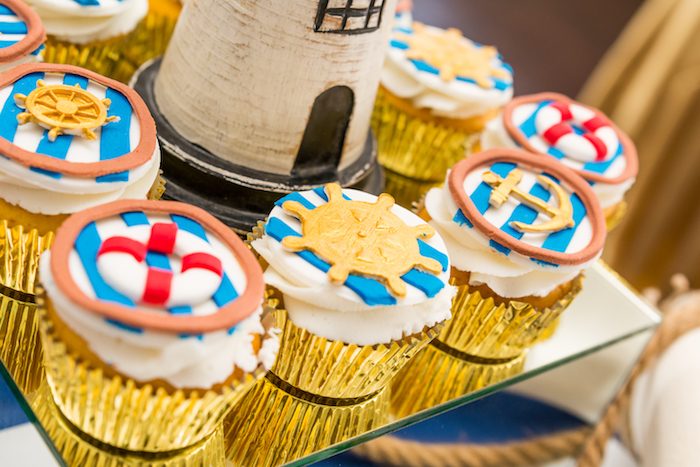 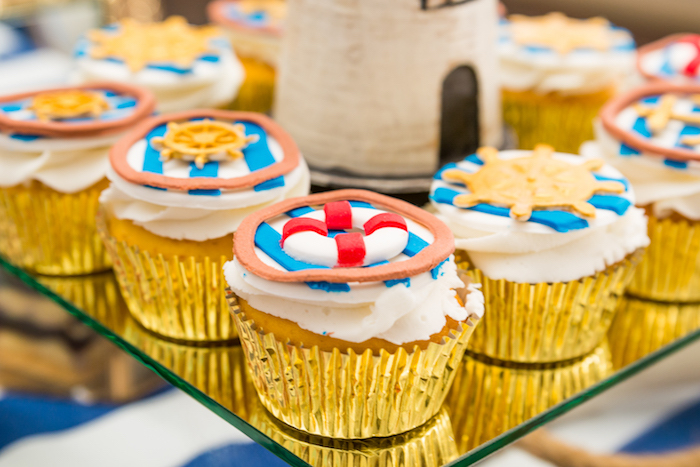 And cute nautical themed cake pops and cupcakes! 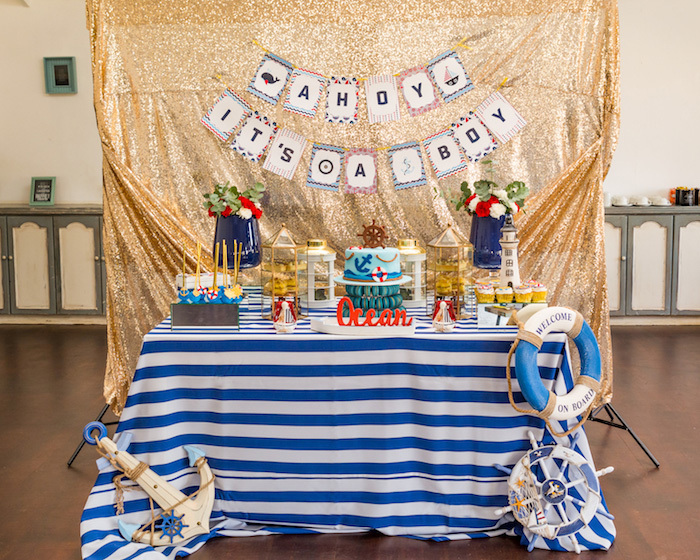 I love the various tables and display areas in this baby shower. 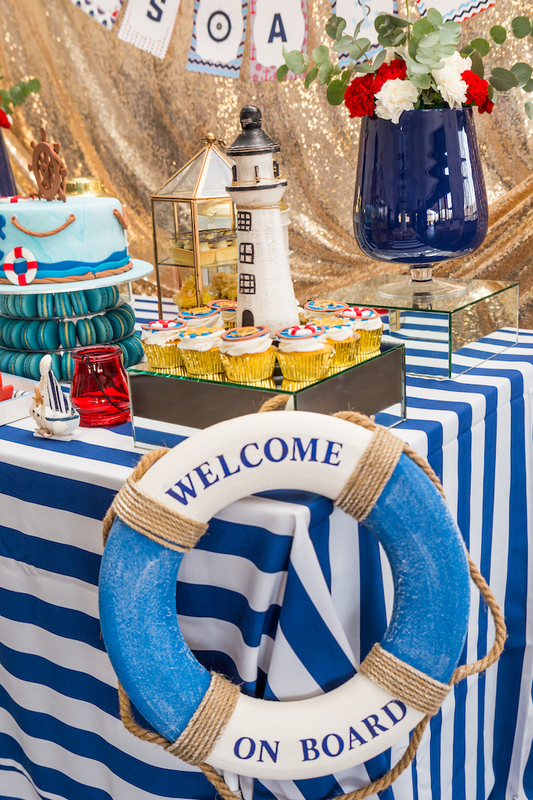 If you’re looking for something with both function and character to use at your nautical party, we found this fantastic nautical accent table on Furniture.com. 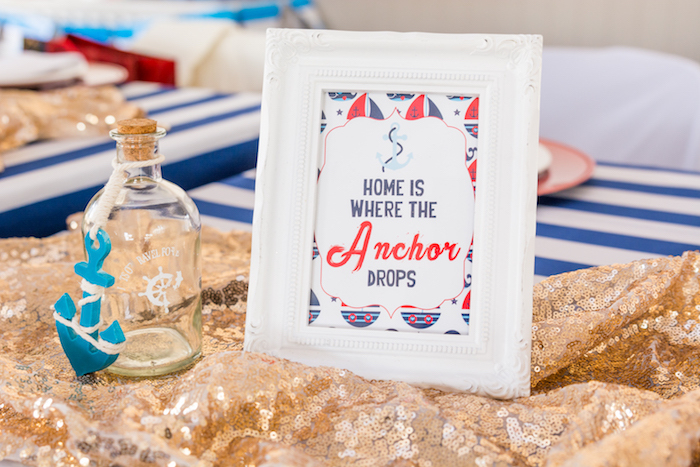 It would be the perfect addition! 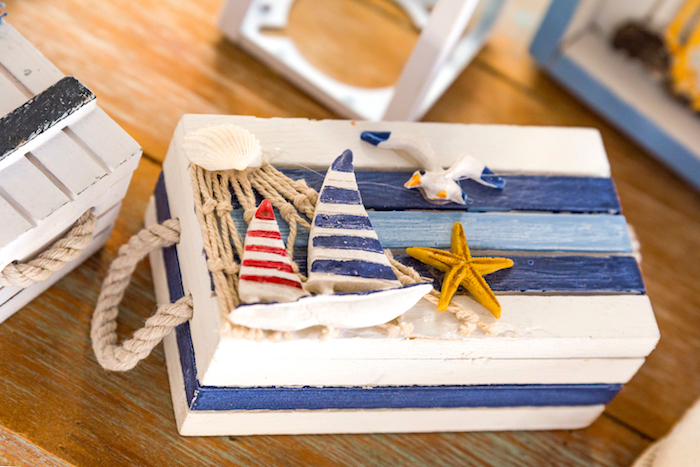 I have unleashed my creativity! 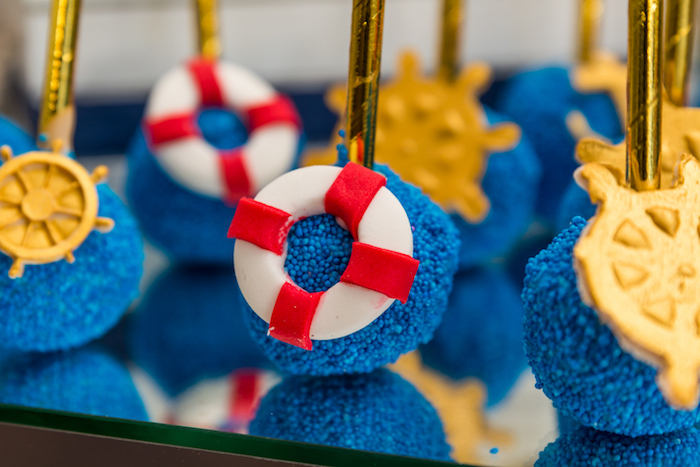 Its a win all round kind of situation!! 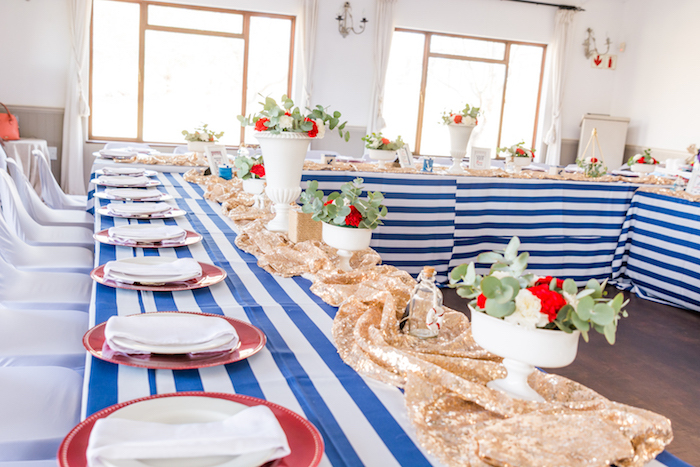 The venue of choice was The River Cabin. 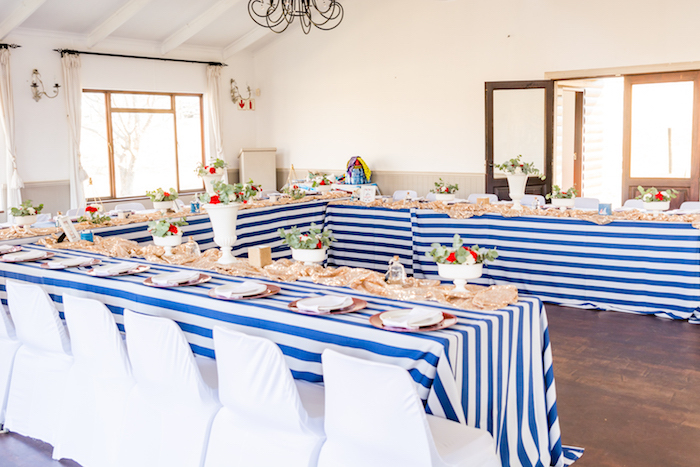 Besides the fact that this is my all time favourite venue, it is situated on banks of the Jukskei River. 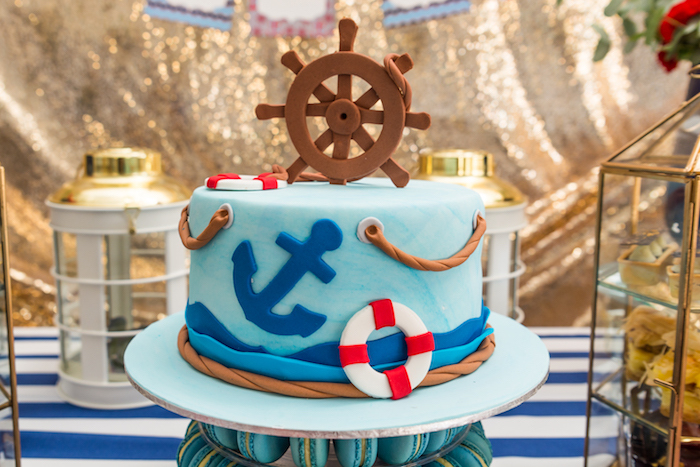 I thought it was quite ideal for the theme. 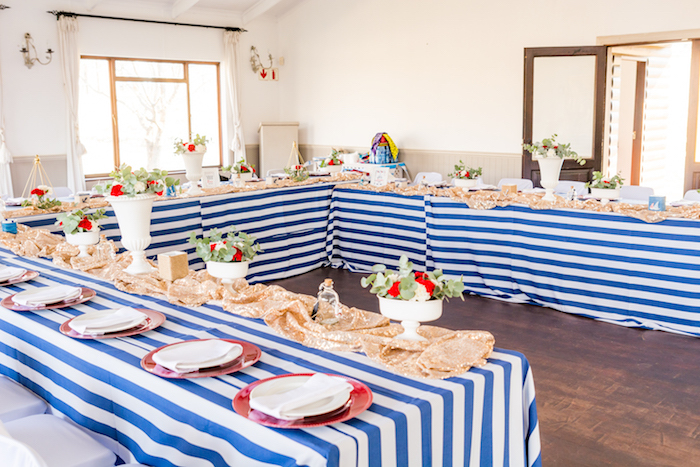 For our decor set up, instead of going with striped runners, I opted for striped tablecloths. 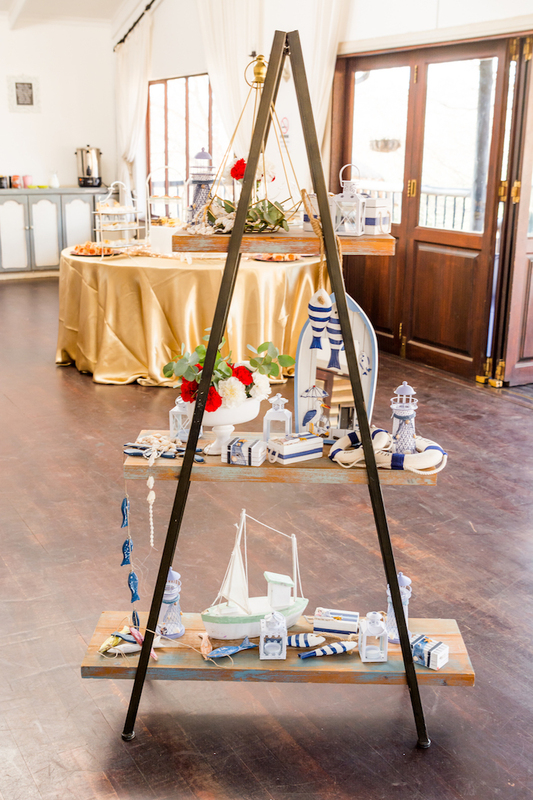 It lifted the whole set up quite magnificently. 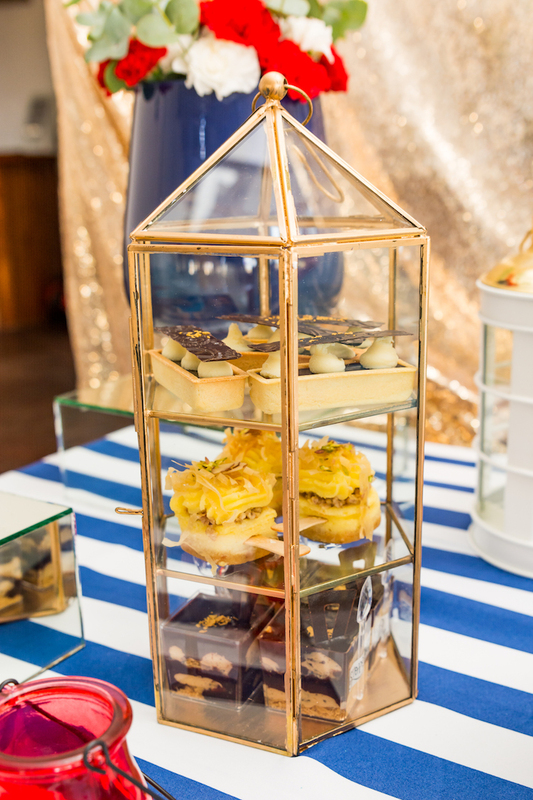 Something this small can really elevate the event to another level. 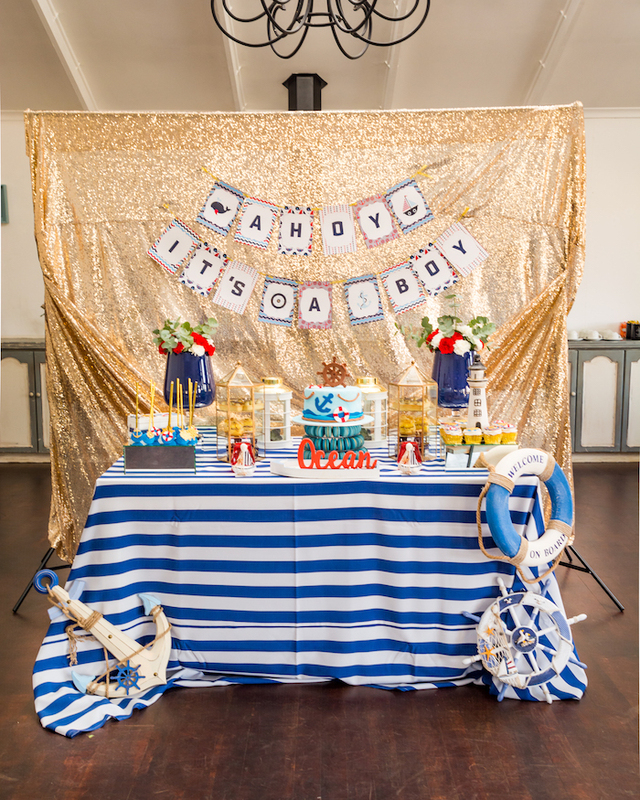 I used gold sequinced runners on the edge of the table. 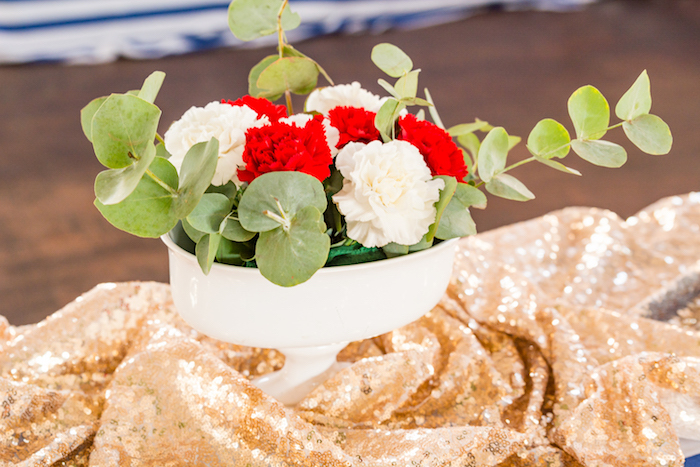 We brought it in the reds through the flower arrangements and under plates. 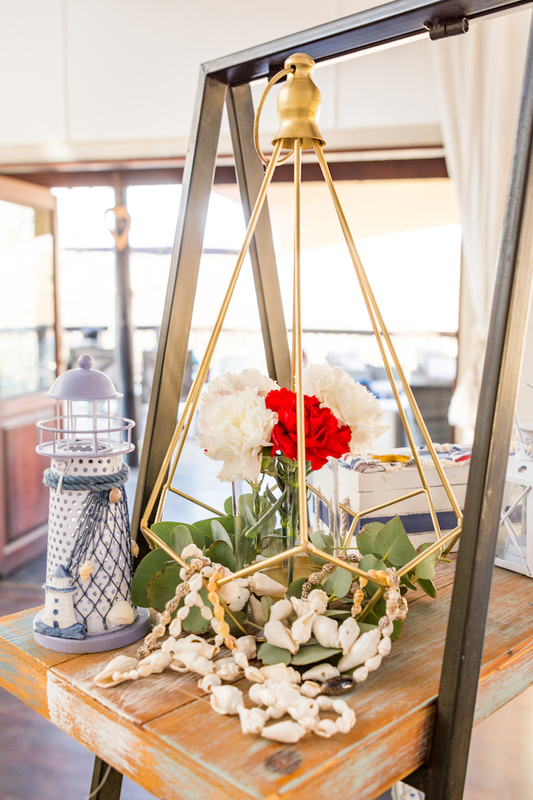 I didnt want the red to overpower the whole set up thus toned it down to just these two elements.